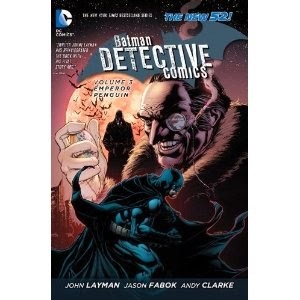 Author of the critically acclaimed, award-winning Image series Chew John Layman takes over writing duties on DC Comics' flagship titles DETECTIVE COMICS. The Dark Knight faces a series of his deadliest enemies, including Poison Ivy, Clayface, and the Penguin, all while dealing with the Joker and the League of Smiles as part of the events of the best-selling Bat-Family crossover "Death of the Family." Once an editor for Wildstorm, John Layman turned to writing comics full-time in 2002 and mainly wrote for Marvel Comics. However, he is mostly known for his creator-owned titles at Image Comics, such as the graphic novel Puffed and the Eisner and Harvey Award-winning series Chew. He currently writes the monthly adventures of the Dark Knight in DETECTIVE COMICS.